My, what big eyes you have! 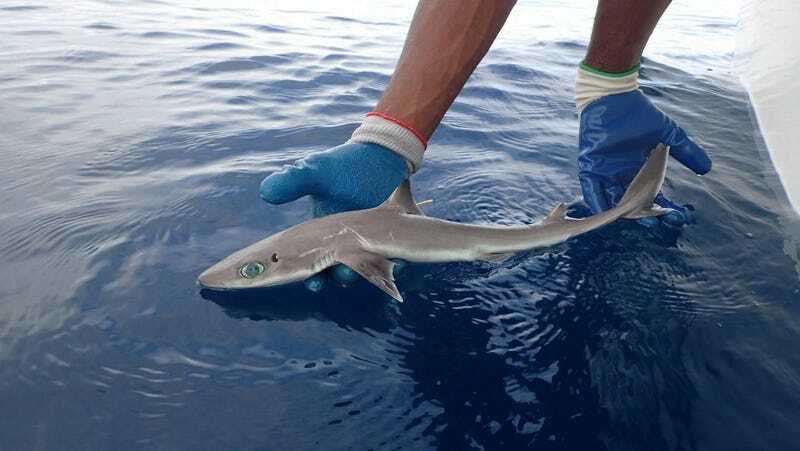 An adult Squalus clarkae found in the waters off Belize. 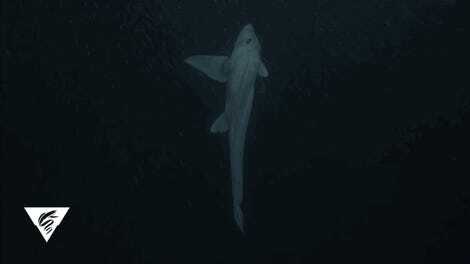 Say hello to Squalus clarkae, otherwise known as Genie’s dogfish. This newly identified species of deepwater shark was named in honor of Eugenie Clark, a scientific pioneer who influenced an entire generation of marine biologists. Eugenie Clark takes measurements of a shark on the dock at Cape Haze Marine Lab. Known as the “shark lady,” she founded the Mote Marine Laboratory in Sarasota, Florida, and was an early member of the American Elasmobranch Society. Among her many scientific achievements, Clark discovered several new species of fish, and learned that some species of shark don’t need to swim in order to breathe. She also conducted some of the earliest research into shark behavior, showing they’re more than just mindless killing machines. Over the course of her career, Clark received numerous awards and honors, including a 1996 Emmy Award for her underwater films. And now, fittingly, a newly discovered species of shark has been named in her honor, the details of which were published this week in the science journal Zootaxa. (A) Photo of an ddult female Squalus clarkae from the Gulf of Mexico, (B) sketch of an adult female S. clarkae. Thanks to the pioneering efforts of Eugenie Clark, who devoted her life to changing our conceptions of sharks, many people now recognize the importance of this preservation effort. Correction: An earlier version of this post mistakenly referred to Toby Daly-Engel as the lead author; that distinction belongs to Mariah Pfleger.